Recently, I have been asked for some self-publishing tips. I'm a newbie at this business so I'm definitely not an expert but I will share what I have and have not done, the mistakes I've made, and what I wished I could have done differently. (Maybe one day I will add a page on my website for self-publishing tips.) In the meantime, I will answer any questions someone might have about self-publishing because I know how hard it is to find that information and I am very thankful for the authors that helped me. I want to return the favor. One thing I forgot to mention when I have answered the emails about publishing is dealing with your reviews. My policy is DO NOT READ YOUR REVIEWS. Good or bad. I've heard this from other authors so that is my new motto. The first few days after "Promise Me Darkness" was released, I read all the reviews and they were good but I knew that the bad ones were coming. Every book has had bad reviews. It is just human nature. We can't all agree on everything. What one person loves in a book, another hates. There are books that my friends love and I couldn't get through the first three chapters. It's okay. To each their own. I do not read reviews on Goodreads, Amazon, or anywhere else. I'm too scared. I haven't developed that thick skin so many authors told me I had to have in this business. My hubby and friends tell me what the good reviews say and sometimes they tell me what the bad reviews say if they think it might be helpful for my writing. Knowing there are some bad reviews does hurt, I'll admit, but then I think of that childhood saying - "Sticks and stones may break my bones but words will never hurt me." So remember if you are a writer - DO NOT TORTURE YOURSELF - don't read your reviews!! Last week was such a whirlwind week that I'm still reeling. This week has started with a BANG also. I can't believe I am saying this (oops, typing this) but I am now listed on Amazon's Best Sellers list. I'm sitting next to authors whose works I've read my whole life - Nora Roberts, Sandra Brown (cut my teeth on her earlier books), James Patterson, Dan Brown (so in love with his books), and E.L. James (the mother of all romance novels in my opinion) and so many other great writers. It's very surreal. I'm waiting for someone to wake me up from a deep, Nightquil induced sleep. I will probably say this a million times so please don't get angry with me but THANK YOU, each and every one of you. You made this happen. Yesterday was an AMAZING day. I received so many emails from around the world that I couldn't keep up with all my replies. My Facebook stayed busy with new 'likes' and I received numerous phone calls from friends and family. I never expected my book to do so well the first day. I came very close to bypassing the 1,000 rank paid on Amazon and I sold more books in less than 24 hours than some major authors (who are now New York Times Best Sellers) sold the first month of self-publishing their first book. (I could only wish to be in that group!!) I'm not sure if it was a fluke or a one-day only thing but it was a good feeling. But thank you to the numerous people that bought it. 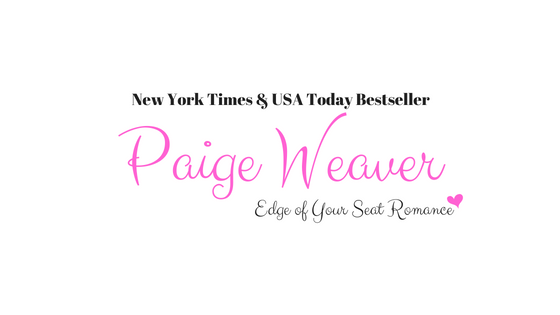 Thanks for taking a chance on a new author! I just had to take time out of writing to read Jamie McGuire's new book "Walking Disaster." Oh. My. Goodness. I am soooo in love with this book! "Walking Disaster" is the same story as Mrs. McGuire's book, "Beautiful Disaster" but from Travis's POV. The book is AMAZING. How Mrs. McGuire gets into a college boy's head, I don't know but it's perfect. Period. I also want to say that Jamie McGuire is a truly a wonderful person. She has answered many of my questions about self-publishing and writing. Not many authors take the time to do that. She also really cares about her fans and it shows. I can't wait to read what she will come up with next! 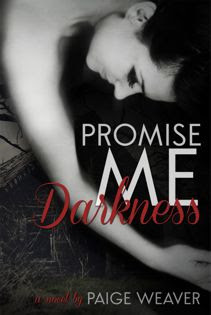 One and a half weeks until my release date of "Promise Me Darkness." What am I doing until then? Formatting, formatting, and some more formatting. But I gotta admit the truth - my husband is doing it all. Thank goodness too. He is formatting it all in HTML or what I call - little squiggly lines and a bunch of letters thrown together. While he is working on that, I'm touching up on my Facebook and Twitter accounts. (I'm addicted to social media!) Also, I'm setting up accounts for Amazon, etc. in order to sell. Lots of legalese to read through. Needless to say, I have a headache a lot these days. :) But it's all very exciting! And somewhere in the middle of all this, I'm writing the sequel to Promise Me Darkness. I think I'll need a big margarita soon, ladies!